There's no denying the appeal of a jumper with an in-built scarf. Worn by everyone from Ernest Hemingway to Steve Jobs, it's become the go-to for free-thinking, intellectual types, the kind of men who forge their own path in style as well as life. 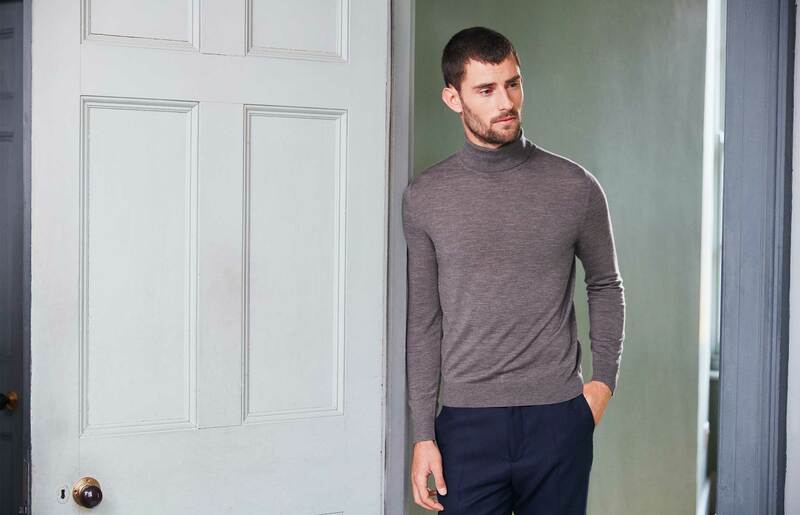 "Rollnecks are just a good way to show you’ve made an effort," says Thread stylist, and long-time rollneck aficionado, Luke McDonald. 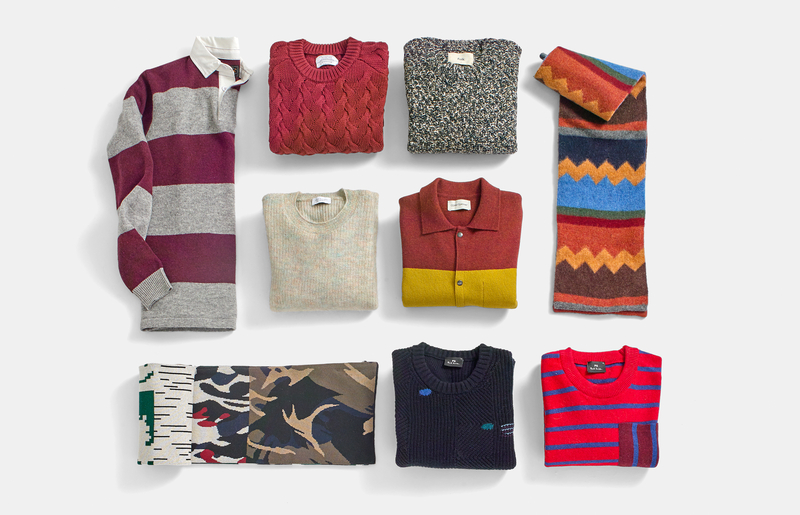 "They’re smarter than a crew neck and a bit of a statement, but still quite easy to pull off. They’re also great for layering, as you can wear a heavy shirt over them, throw them on over a t-shirt, or wear them under a jacket." But that versatility only comes with inch-perfect fit. 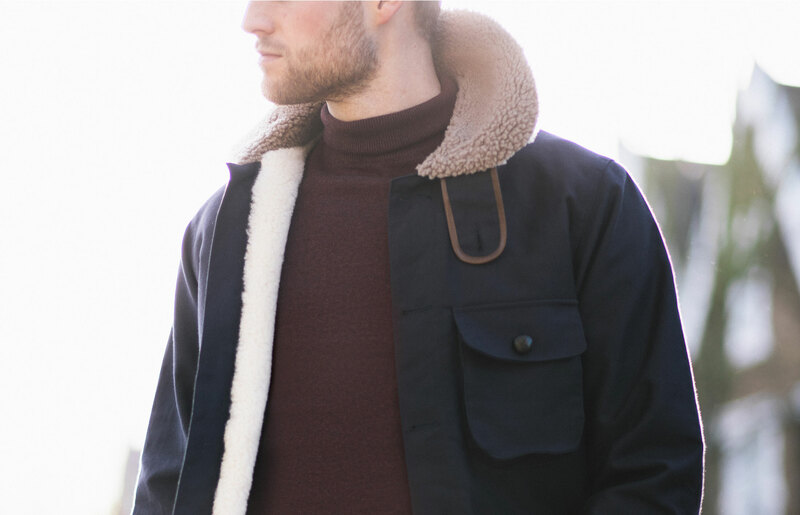 Bear in mind that we’re talking fine-gauge rollnecks, here; with chunky, fisherman-style knits, you can largely get away with anything. But there’s far less leeway with a smart rollneck. Too much or too little fabric can leave you either drowning or shrink-wrapped, neither of which strikes that suave, off-duty spy vibe that the right rollneck can confer. 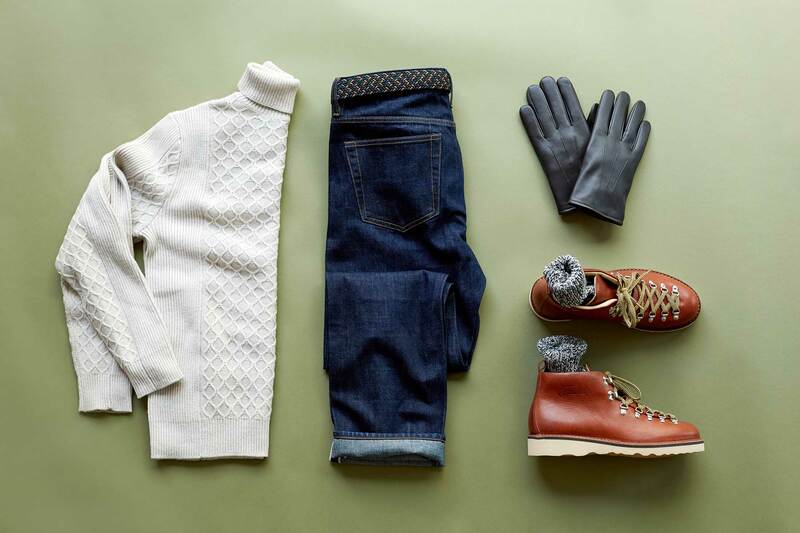 To help, we’ve broken down the perfect fit, from top to bottom. "You want the neck to be quite tight," says Luke. A lightweight knit will sag unless you're the one holding it up. Conversely, you don’t want it so tight that "it seems like your head is bursting out.” Height-wise, the middle of your Adam's apple is about right. As with almost every other jumper (apart from the deliberately oversized ones), the shoulder seams should hit your actual shoulders. While you're at it, make sure the armholes aren't too tight, in case you want to wear a t-shirt underneath. If you'll forgive the pun, the rule of thumb is that the sleeves end at the base of yours. Some brands like to make their sleeves extra long so that you can wear them folded back, in which case, you should. There can be a temptation to go extra snug with rollnecks; avoid it. The fabric shouldn't cling to every bump and curve, but rather be free to move when you do. There should be enough spare to pinch a couple of inches together without the fabric stretching, but still be fitted enough that you can slide a blazer over the top without bunching. Like a shirt, you can wear a rollneck loose or tucked, so you need enough fabric for it to slot inside your trousers without riding up when you sit down. Hitting the top of your pockets is the sweet spot.